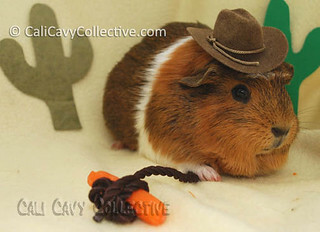 For Halloween this year, Truffle is dressing up as a cowboy - err, cowgirl - or should that be cowpig? 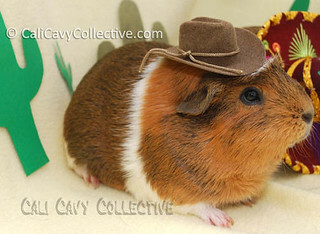 Whee like her guinea pig sized cowboy hat because we think it matches her fur quite well. 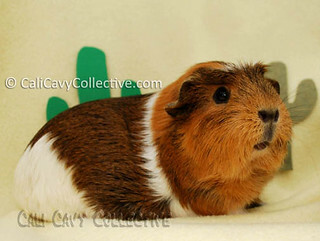 Truffle the cowpig is on a mission to lasso some feral carrots that have been hiding out in the desert. Here she is practicing her covert creeping skills. She looks very stealthy, does she not? Pouncing upon a lone carrot, Truffle endeavors to subdue her prey. It looks like Truffle has successfully managed to lasso her first victim! The oblivious carrot never stood a chance against the determined cowpig. 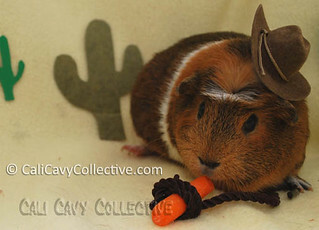 Truffles looks so very cute and fetching in her cowboy hat, what a clever girl lassoing her carrots! Truffle says thanks Mopsy! 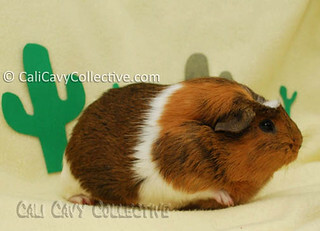 Say hello to Starbuck, Woody and the Most Evil Peegy Boomer for us.